A Lexus first, the NX 200t front-wheel-drive SUV is a new generation of vehicle which may not appeal to just every driver. 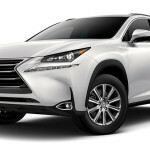 With an updated interior, LED lights in front and available moonroof, the NX version of the RX SUV is a performance vehicle a tad different than its RX stablemate. Available in November of 2014, the NX 200t offers the latest in available technology, as well, including Lexusâ€™ new and not so coveted (by this writer), Remote touch to operate all things technical: Navigation, radio, Bluetooth, etc. We found this â€˜new and improvedâ€™ feature extremely annoying, longing for the other Lexus remote mouse-like controller introduced a couple of years back. Which by the way, also took some getting used to. A car that seems to be widely popular with the AARP set (of which I am a member-but havenâ€™t given up the much-preferred performance sedans), the RX luxury SUV explores new territory with the NX. Much sportier, more of the performance ilk, the NX also comes in the IS sedan version. We drove the sedan last week and found it a very pleasing offering. The RAV4-based NX 200t seems more youthful, dominated by Lexusâ€™ sharp edgy new styling and our favorite: Recaro-like seats. These are a dream and weâ€™d prefer to have them in every automobile, thank you. Categorized by Lexus as its new entry-level luxury crossover, the NX will really confuse buyers now. Isnâ€™t it he RX their entry-level SUV? It surely is a best seller-at least around Chicagoâ€™s North Shore; and in fact, sells better than the BMW 3-Series across the country. To the tune of more than 100,999 units a year. The NX 200t we drove, equipped with the new 2.0-liter turbo four and six-speed automatic transmission is the standard faire. 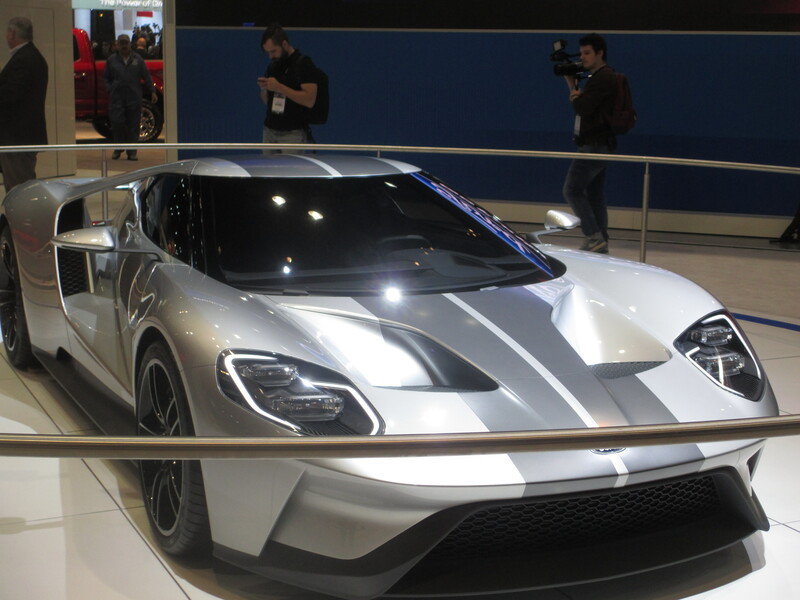 The new large, large front grille (like other manufacturer vehicles, these days), sport-tuned suspension choices and paddle-shifters, are standard. One can also opt for a hybrid version (300h). Of course. A compact SUV, the NX offers Lexusâ€™ first-ever turbocharged vehicle; our test NX was the F Sport version, which we prefer. Keeping good company, the NX will go up against stiff competitors BMW Xi, Audi Q3 and Mercedes-Benz GLA. Smaller than the RX (5.5 inches shorter and 3.2 inches shorter wheelbase), and costing somewhat less, the new NX is aimed at the Audi Q5, another best-selling CUV. The NX, well-equipped will still cost you over $40,000. We bet. The NXâ€™s 2.0-liter turbo engine has big job carrying of 2,000-some pounds of the Crossover. It utilizes two injectors per cylinder and an integrated four-into-two exhaust manifold which reduces lag. Teamed with the six-speed automatic transmission, the NX kicks it up with the F Sport trim: stiffer steering, sport-tuned suspension (we went between sport and ECO), challenging the BMW X3 and Audi Q5. Other reviewers have track-tested the NX 200t and found it a little wanting: something like zero to 60 mph in 6.9 seconds. We did not put the NX to the test however, did notice a louder than normal (for Lexus) engine noise. Obviously, the turbo is not the most refined engine, but then driving a Lexus ones expects total quiet. This writer did not find the 2.0-liter turbo engine quieter than a hybrid. When activating the â€œactive sound controlâ€ system in Sport mode, the car makes a sporty sound. The NX takes the turns and bends well, feels stable and confident with the F Sport suspension. One canâ€™t expect an SUV to behave the way a sedan would when pushed a little. Due to weight and height, even the crossovers wash out a little. But then, they arenâ€™t to be driven for racing or speed. Utility, I guess. Lexusâ€™ new styling is also reflected in the NX CUV and our F Sport version has a distinctive black mesh-filled spindle-shaped grille, a handful of LED lighting elements, both front and rear, black mirrors, and 18-inch wheels. The liftgate works by remote, and second row seating is adequate. We like the NXâ€™s side view more than head on. It still is a Lexus, that cannot be denied, but at least they have attempted to put some new styling cues into the 2015 Lexus; a somewhat dull bunch, theyâ€™ve been getting to be. The NX 200t interior is busy and compact. The sport seats are divine, everything is pretty much in reach, although again, we did not resonate with the Remote Touch feature. The other annoying thing was the screen, at one point, kept flitting around in nav mode. Couldnâ€™t bring up a menu to change to radio, media or anything else. 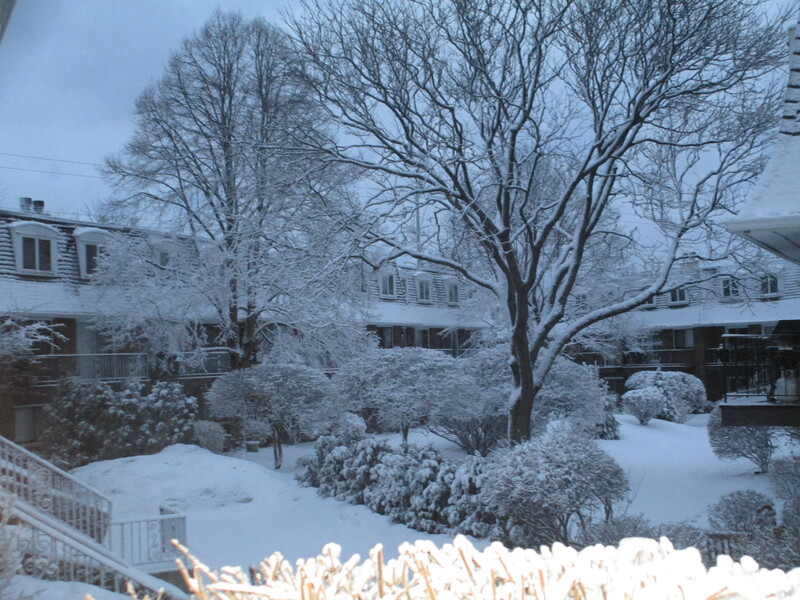 We suspect that was a quirk either in the software or brought on by the cold weather? It seemed to right itself after the a few hours. It took a while to get the driverâ€™s seat just right, but once we did, it was great. Exiting and entering proved a little cumbersome for this writer, at only 5â€™6 inches tall. Seating is high and a good thing for shorter drivers, but once the seat was in position, it hard not to bump my head when exiting the vehicle. Aluminum pedals grace the floor in the F-Sport version, a highly contoured yet small steering wheel was just right in this performance-like SUV. Gauges, scuff plates, the dashboard and accents on the door all spoke of sport. This is a small cabin in the NX so things are for the most part, all reachable. The center stack is easily reached as is the generous center console where one can store all manners of stuff. The nav screen stand up out of the dash so it is easily seen and watched without making it too dangerous (eyes off road). All controls are at hand. Donâ€™t expect to have a lot of extra space for goodies though. Two cupholders take up the center console area and there isnâ€™t any place to store glasses, gum, keys, etc. The base price for the NX CUV is $38,905 for the all-wheel-drive model. Our NX 200t with F Sport had an MSRP of $44,375 (which included a Premium package, parking assist, a sunroof, and blind-spot monitors in addition to the aforementioned navigation system). Different audiences will elect for one model over the other; probably not as many for the F Sport. 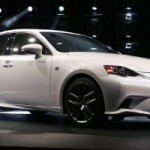 At this writing, I am not sure what the estimated figures are from Lexus for each version. *Buick Avenir Concept sedan: blend of old/new: Tesla S and Porsche Panamera. Please make this Buick! Donâ€™t miss Camp Jeep in the south Hall, special features such as the Camry test track and distracted driver simulator for teens at Toyota, and Dodgeâ€™s Multi-brand test track. Plus all the vendors, Volo Museum display and more. Admission is Adults, $12, Seniors, $6, Children (7-12), $6; 6-under, free. Open 9:00 am-10:00 pm., the show is open through Feb 22. Held at the â€˜newâ€™ McCormick Place on 23rd St and Lake Shore Drive, parking is available there, and the Hall can be accessed via Metra and CTA. 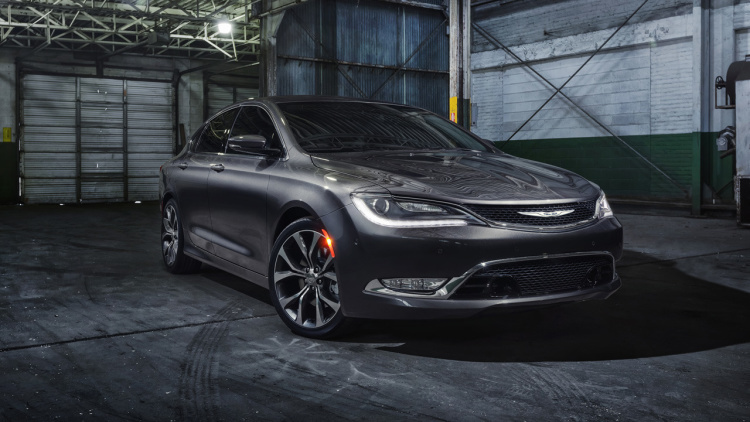 CHICAGO, Ill. (February 12, 2015) â€“ Starting off Media Days at the Chicago Auto Show was the announcement by the Midwest Automotive Media Association that the 2015 Chrysler 200 has been named the winner of its fifth annual Family Vehicle of the Year award. This is a beautiful sedan. The Midwest Automotive Media Association (MAMA), a nonprofit group of automotive journalists and public relations professionals, developed the award to assist car buyers in making the best buy decision when shopping for a family vehicle. â€œChoosing a family vehicle is an important decision. It should be affordable, reliable, efficient, and roomy. 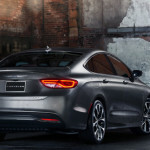 MAMA members pooled their expertise to select the best family vehicle from an impressive group of new and notably refreshed models, and the Chrysler 200 rose to the top,â€ said award coordinator Damon Bell. In order to qualify for the award, vehicles must sport four doors, be priced at less than $50,000, appear at one of MAMAâ€™s two annual rallies, and be new or significantly updated within a year of the 2014 Spring Rally (May). The MAMA Spring and Fall rallies feature about 100 manufacturer vehicles for journalists to drive and evaluate. 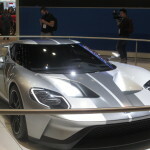 Voting takes place at each rally, culminating in a list of 12 contenders, which included: the Chrysler 200, Ford Transit Connect Wagon, Honda Fit, Hyundai Genesis, Hyundai Sonata, Kia Soul, Lincoln MKC, Nissan Rogue, Subaru Legacy, Subaru Outback, Toyota Highlander, and Volkswagen Golf. A total of 99 automotive journalists and MAMA members caste their final vote. 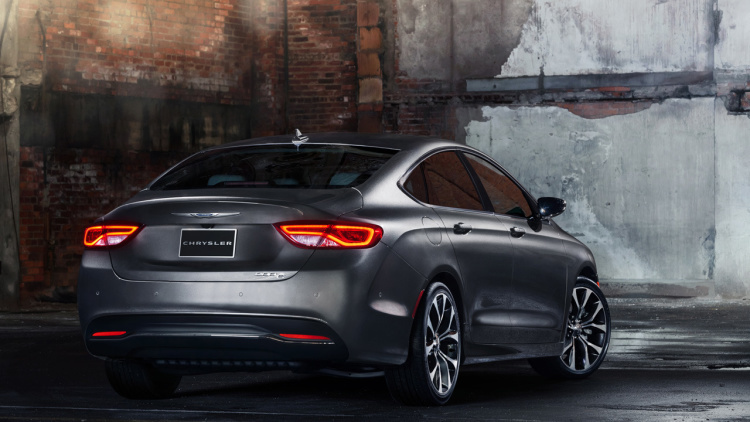 The 2015 Chrysler 200 came out the winner with 79 total points, edging out the 2015 Subaru Outback, which came in at 73 total points. The 2015 Volkswagen Golf placed third, at 68 total points. Voting for the 2016 Family Vehicle of the Year award will begin at the 2015 MAMA Spring Rally, which is scheduled for May 12-13 at Road America in Elkhart Lake, Wis. 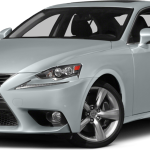 The Fall Rally is set for October 7 at the Autobahn Country Club in Joliet, Ill.
Now in its third generation, the Lexus IS 350 is probably our first choice in the Lexus stable of cars. Not a huge fan of the other offerings in the Lexus lineup, the 2015 Lexus IS 350 F-Sport won us over. Having grown a tad dull over the last several years, this new iteration may finally offer something a little more stylish and up-to-date. 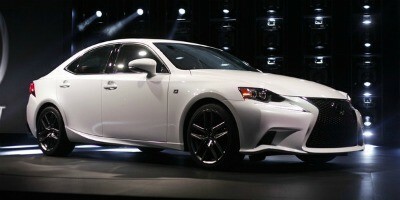 Our test IS 350 came equipped with several options, hiking the total vehicle price to just under $49,000. A blind spot monitor with rear cross traffic alert auto-diming exterior mirrors ($600); F SPORT Package including F SPORT front bumper and spindle grille, LED headlamps (low, high beam), 18-inch F Sport Split 5-spoke wheels, FR 225/40R18 summer tires: on the inside: TFT instrument cluster, heated and ventilated front F SPORT seats, perforated leather steering wheel and shift knob, black headliner, aluminum pedals, Performance Adaptive Variable Suspension (AVS) and SPORT S + mode ($3,740); Variable Gear Ratio Steering: power tilt/telescoping steering column, $400; navigation System/Mark Levinson Premium Audio, Audio 5.1Surround 15-speakers, 835 watts, navigation, backup camera, remote touch interface, Lexus Enform Destination (1-year trial), and App Suite, Voice Command, Lexus Insider, ($2,995); and Trunk mat, ($105). As soon as this writer buckled herself into the cockpit, a feeling of connection happened. These Recaro-like bucket seats are the best fit in any Lexus to date, and although probably a tad small for large drivers, it fit me just about right. I did, however, have to have the seating position about as far back as possible to suit my long legs, but at only 5.6 1.2-inches, Iâ€™m hardly a giant. I felt perfectly at home in this performance-oriented sedan; performance vehicles being my first choice in any manufacturerâ€™s sedan. The interior feels sporty, has a few new updates and works well with the driver and a passenger. Although I did carry a male passenger in the rear seats, toting four adults all the time might be a stretch. The exterior styling although improved and updated, isnâ€™t a first place winner with us. The rear end features take some getting used to; but then, taste in style is a personal thing. Not as conservative as the previous IS models, we agree it is an improvement. The TFT instrument panel is great; we enjoyed moving the dial back/forth. The Mark Levinson 15-speaker sound system was out of this world and we were wooed by the music emanating from the dash. Our test IS 350 came in Atomic Silver, with almost a brownish hue. Very handsome. Competing with the likes of the BMW 3-series, the Lexus IS is available in the 250 and 350 trim levels. The IS 250 sports the Lexus 2.5-liter V6 engine, while the 350 is equipped with a more powerful and spunky 3.5-liter, V6, paired with the 8-speed automatic transmission.Pricing for the 250 starts at $35,550 while our 350â€™s MSRP was just over $40,000. Either sedan would suffice, but we would definitely opt for the 3.5-liter V6, 350. Our test 350 was the rear-wheel-drive ($40,065), and all-wheel-drive is also available ($42,300). A lot of options, at high prices, however, if one opts for the competition: say the BMW or Audi comparable version, the price range would be closer to $60,000. We especially resonated with the Recaro-like seats, form fitting and holding the driver tight. This is the kind of feel we want in a sedan; the more performance, the better. Lexusâ€™ 8-speed automatic transmission shifts imperceptibly, and we found we wanted to use the paddle shifters; not something we ordinarily opt for. To be sure, the IS 350 offers a performance-like ride. Perhaps not for everyone. Our preference, however. One canâ€™t help but admire a Lexus product, for so many reasons. The IS 350 with the F SPORT package is the only one weâ€™d make room for in our garage. Some argument might be found, to be sure, from other rag writers, but we prefer a performance vehicle anytime, every time. Riding with colleagues to this yearâ€™s Chicago Auto Show, we spent a few moments scheming about how we might just hold on to this press car. I didnâ€™t want to return it to the fleet. Well, maybe some day! EPA Fuel Economy: 19/28 mpg., avg. 22 mpg. Warranty: 48 mths/50,000-miles, basic; 72 mths/70,000-miles powertrain; 72 mths/unlimited corrosion perforation; 48 mths/unlimited Roadside Assistance; 12 mths/10,000-miles maintenance; 48 mths/50,000-miles accessories. The 2015 Toyota RAV4 is available in three trim levels: LE, XLE and Limited, prices range from $23,680-$29,850. Our test RAV4 XLE came equipped with front-wheel-drive, and the only engine the RAV sports: a 2.5-liter 4-cylinder, which at times seems underpowered, however, itâ€™s pulling a 3400-lb. car that feels lightweight. 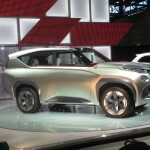 Into the1990s, the RAV4 appears to have kept up with the newest features and curves, however, so have its competitors, the likes of the Mazda CX-5, Ford Escape, Subaru Forester and Hyundai Santa Fe Sport. While the RAV4 is a nice compact Ute, it pales in comparison to the competition. Very popular among female buyers, the RAV sells itself by manufacturer alone. Our XLE came equipped with two options, one the Entune Premium Audio with Navigation package which also includes App Suite, Entune Multimedia Bundle: 6.1-inch high resolution touch-screen with split screen display, integrated backup camera display, AM/FM/ CD and six speakers, Auxiliary audio jack, USB 2.0 port with iPod connectivity and control, advanced voice recognition, hands-free phone capability, phone book access, music streaming via Bluetooth radio,HD predictive traffic and Doppler weather overlay, AM/FM/Cache radio, SiriusXM, alt access radio, Gracenotes album cover art, $585. The second option was carpet floor mats/cargo mat ($225). The Entune has four different levels, touch-screen audio, two top levels incorporating App Suite, Bing for search, HeartRadio and Pandora for audio streaming. 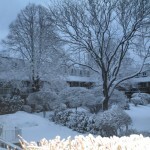 MoveTickerts.com, OpenTable, Yelp, real-time traffic, weather, fuel prices, sports and stocks. Gone from six models to three trim levels, the 2015 RAV4, now a small crossover can be linked to its bigger brothers: Highlander and Venza. The lines are identifiable and have a resemblance. The XLE version was added in 2013. The back door no longer opens to the side. 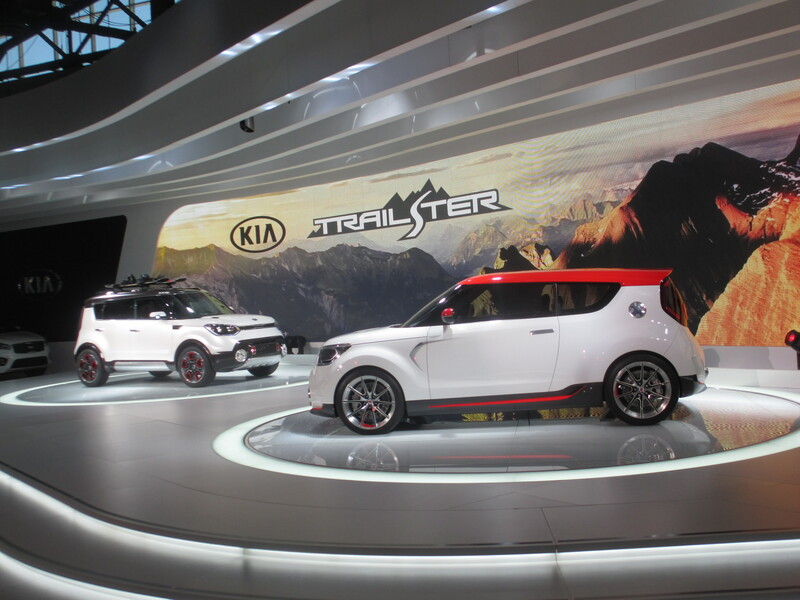 Rather, a top-hinged hatch is the new look and the tire is located under the cargo floor. The RAV4â€™s interior isnâ€™t terribly inspiring and upon closer inspection, resembles those features popular in the 1980s. The leather upholstery is lower grade than expected, as are the plastics. While this isnâ€™t necessarily a deal-breaker, this writer would hesitate to spend upwards of $25,000 when opting for a small ute. 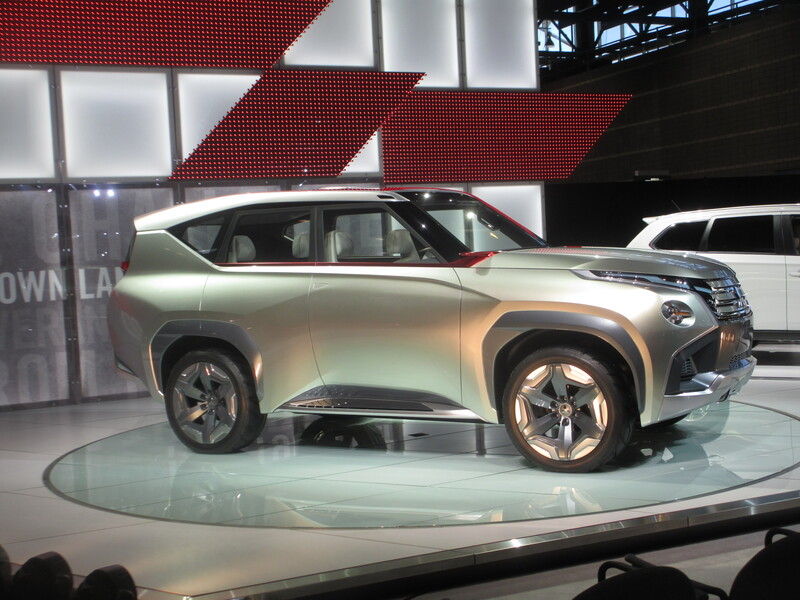 Maybe we are just weary of the RAV4 whose time seems to have come and gone. When it first appeared, we especially liked the two-door version, discontinued after a few years. 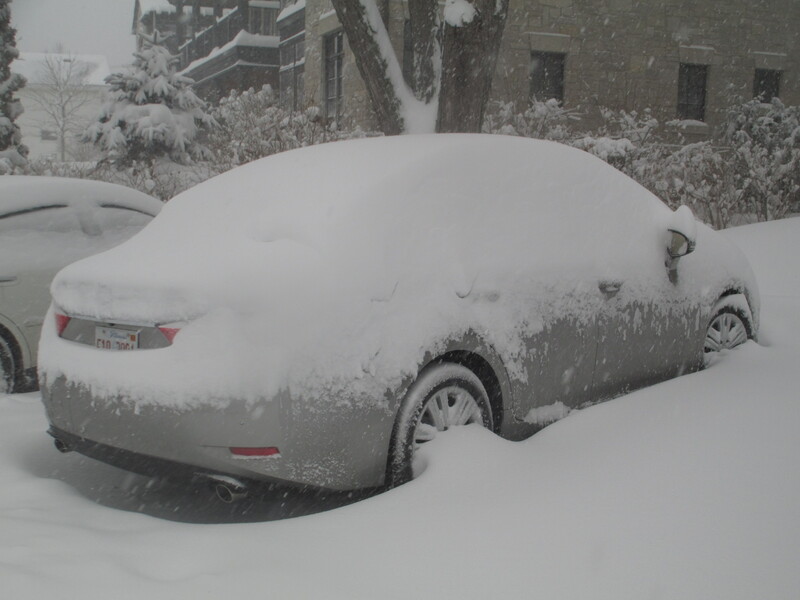 Driving our test RAV4 during the recent Chicago 20-inch snow proved to be satisfactory. It held the road well and the latest in safety technology-enhanced vehicle stability control, traction control, anti-lock brakes, Brake assist, smart stop technology and Electronic brake force distribution all aided in slippery, icy streets. The standard backup camera is a welcome addition, as was the fold-flat second row seating when needing to tote some much-needed wood from Home Depot. We didnâ€™t get an opportunity to test the power moonroof, but appreciated the power heated outside mirrors on chilly, icy mornings. The RAV4â€™s new styling cues are an improvement but not enough to make this writer lust for one. While the RAV is not a bad option at all in the CUV lineup, itâ€™s just not first in line. As with many vehicle classifications today, there are so many contenders, one really has to do some serious thinking. EPA fuel economy: 22-24/29-31 mpg. Gas tank capacity: 15.9 gal. 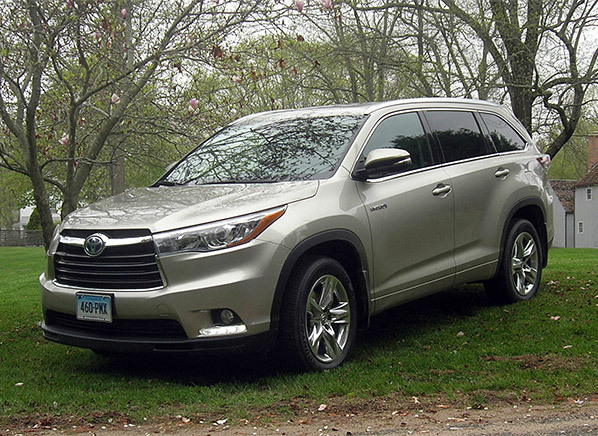 The 2015 Toyota Highlander, a midsize crossover-SUV market favorite, is for this year more refined, and better looking. The current Highlander has stiff competition such as the Honda Pilot, Nissan Pathfinder and Ford Explorer. Yet, the Highlander seems to hold its own as a segment leader. The 2015 Highlander offers seating for eight passengers, a choice of 4-cylinder, V6 or hybrid drivetrains, and either front- or all-wheel drive (FWD, AWD). The 2015 Highlandersâ€™ interior is much improved, laid out more attractively, and includes a pass-through cable organizer for media devices, as well as Easy Speak, which amplifies the driver’s voice so rear passengers can hear better. Crash test ratings are top in safety picks, as rated by the Insurance Institute for Highway Safety. The Toyota Highlander replaces the minivan as the first choice for consumers with families. Two styles are available and include the Limited Platinum V6 and AWD. Redesigned, more to resemble a SUV this time around, the Highlander resembles the BMW X5, Durango. Other competition also includes the Mazda CX-5, Honda CR-V, Chevy Traverse and Ford Flex Turbo. A rearview camera and eight airbags are standard on the 2015 Highlander. Options on our test Highlander V6 Limited included Rear seat BlueRay DVD entertainment system with 9-inch display RCA jacks, remote and two wireless headphones ($1,810); Driver Technology Package (safety connect, pre-collision system w/dynamic radar cruise control, lane departure alert w/automatic high beam headlights, $1,400); Carpet floor mats and cargo mat, $225. The pros are several and include new styling, more room in the second row, storage for media stuff in the center console, increased space behind the third row and interior styling-upgrades. Of course with the pros also come the cons, such as tight third-row, headroom, a sporty ride, unrefined hybrid and 4 cylinder, limited cargo. Pricing for the 2015 Highlander ranges from about $47,500-$49,990. More sculpted than in year’s past, the Highlander is a bit more distinguished. All-new in 2014, the third-generation Highlander didnâ€™t add too much to the 2015 model. If consumers yearn for â€˜me-too,â€™ this is the SUV for them. If youâ€™re wanting to tow a boat and need at least 5,000 lb capacity, you may want to opt for the Toyota 4-Runner. That way, youâ€™re still in the family and loyal to Toyota. 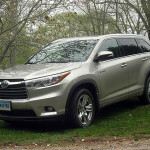 Toyota predicts more than 90 percent of those Highlander’s equipped with the 3.5-liter V6 will leave the lot. As with other Hybrid vehicles, sales are fewer. EPA fuel Economy: 28 mpg. â€¢When shopping for a vehicle, the overall WSI was 4.37, up from 4.25 last year. The top five rated shopping brands by women are Volkswagen, Ford, Chevrolet, Jeep, and Buick. â€¢When purchasing a vehicle, the overall WSI was 4.73, up from 4.65 last year. The top five rated purchasing brands by women are Mercedes-Benz (also held the #1 spot in 2014), Lincoln, Dodge, Jeep and Chrysler. â€¢When leasing (a subset of purchasing), the overall WSI was 4.88, a jump from 4.80 in 2014. An amazing 98% of women would recommend their sales advisor when leasing a car. â€¢When servicing a vehicle, the overall WSI was 4.57 a considerable leap from last yearsâ€™ 4.38. The top five rated servicing brands by women are BMW, Volvo, Mercedes-Benz, Porsche and Audi. â€¢Women visit on average 2 dealerships prior to buying a care. Sixty percent of women who leave without purchasing, do not return to that dealership. â€¢When shopping, 56% of women go to the dealerships by themselves. 83% of them would recommend their sales advisor. â€¢When buying, 46% of women go the dealership by themselves. 95% of them would recommend their sales advisor. â€¢The research in the 2015 US Womenâ€™s Car Dealership Report comes from over 3,450 womenâ€™s surveys from the companyâ€™s website. From these surveys, the company generates a Women Satisfaction IndexÂ® or WSI score. The range is from a 5.0 (the highest) to 1.0 (the lowest). â€¢Unlike other 5-star review sites, Women-Drivers.com offers women the opportunity to write a quick review and then opt-in to a â€˜deeper diveâ€™ survey to share more thoroughly about their dealership visit. Over 90% of the reviewers opt-in to the twenty-five question survey. â€¢Dealership groups and manufacturers use the data collected by the company to better understand, improve and shape the customerâ€™s experience. From the analytics, trends and predictive patterns are captured to help take the guesswork out of marketing to women. Long the benchmark in the near-luxury category, the Lexus ES has remained pretty much the same; other than upgraded technology and a few exterior tweaks, the ES 350 is just a plain nice sedan. While hard to fault, the ES doesnâ€™t always inspire. In all fairness, that is said by an auto enthusiast. The ES 350 applies to the “everyman,” the driver who wants easy, dependable and trouble-free. This is where the ES shines. And all Lexus products, for that matter. Offering relaxed driving, easy to operate features and lots of amenities, the ES 350 seems to hold its own, year after year. For 2015, a special edition has been added to the lineup: the Crafted line ($40,440). Lexus also offers a hybrid version (300h). Standard backup camera is also new for 2015. Near-luxury vehicles are reasonably priced, often starting around $35,000, but when adding all the goodies, the price soars into the $40,000 price range. The ES offers what most would view as several â€œpros,â€ including a smooth V6 engine with plenty of power to move out, an easy-to-maneuver driving experience, luxury and high crash test scores. Most owners donâ€™t find many â€œcons,â€ however, when reading comments of those who have owned more than one ES, arenâ€™t as complimentary about the 2015 model. Some have called the latest edition â€œcheapâ€ when describing the interior, uncomfortable seats, and a hard ride. 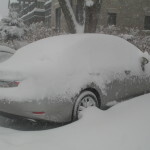 This writer did notice the hard ride, and after coming out of the Hyundai Genesis the week before, it was noticeable. Others have described shaking and rumbling when in Drive or Reverse in the ES. Some reviewers were surprised at the â€˜cons,â€™ and when comparing the ES to the RX, for instance, were surprised they both came out of Lexus. The Lexus ES 350 gets upgraded upholstery for 2015, as well as a standard touchscreen Display Audio interface. If you opt for the superior Mark Levinson sound system, youâ€™ll get the latest in technology that makes for better sound quality. Lexusâ€™ Enform Remote system is also on board, and drivers can remotely view and control features by way of an App. The optional Lexus Enform App Suite gives you Slacker and iHeartRadio 4.0. All in all, the Lexus ES 350, despite the competition, is a consistent performer. 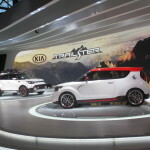 Yes, the styling although much improved over previous years, isnâ€™t a contest winner. It will never be â€˜exciting,â€™ but it is well-mannered. And if you opt for an ES, you know what youâ€™re getting. Interior room is ample, although backseat room isnâ€™t as generous as say, the Hyundai Genesis. The latest ES iteration shares its platform with its cousin the Toyota Avalon. Again, there is so much competition in this marketplace category of near-luxury that itâ€™s a hard choice. Our guess would be that any â€˜car buffâ€™ isnâ€™t going to opt for an ES. Rather, theyâ€™ll head for the Infiniti Q50 (although also a disappointment in some categories), or a BMW 3-or-5 Series. Genesis may be able to better compete with its German competition, and the Acura TLX, for instance, appeals to the high-tech among drivers. 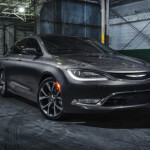 Also nice, and not to be overlooked are the Buick LaCrosse and Chrysler 300. Perhaps a different audience. Two trim levels are available in the ES 350 for 2015, and both are well-equipped. Our test ES came equipped with several options, including: Blind spot monitor with rear cross traffic alert $500; High Intensity Discharge headlamps with DRL, $565; Power rear sunshade, $210; Luxury Package (perforated leather-trimmed interior, heated/ventilated front seats, Espresso birdâ€™s eye maple wood interior trim, power tilt/telescopic steering wheel, Lexus memory system for driverâ€™s seat, outside mirrors and steering wheel remoter keyless entry-linked memory, $1,370); Hard disk drive navigation system with backup camera, 8-inch VGA screen, voice command, single DVD/CD player, remote touch controller, Lexus Enform destination assist w/1 year subscription, App Suite, $400; One-Touch Power Trunk, $400; Intuitive Parking Assist, $500; and Wood and leather-trimmed shift knob and steering wheel, $330. Standard equipment is also plentiful, as expected and includes 17-inch alloy wheels, sunroof, keyless ignition and entry, heated mirrors, cruise, dual-zone automatic climate control, 8-way power front seats, tilt/telescoping steering wheel, perforated â€œNuLuxeâ€ upholstery, auto-dimming review mirror, rearview camera, Safety Connect emergency communication, Display Audio interface, Bluetooth, Siri Eyes Free, 8-speaker sound system w/CD player, satellite, HD radio, auxiliary audio jack and iPod/USB audio. LED foglights are also standard, as are xenon headlights, and three-mode adjustable drive settings. Consumers are not going to do without when opting for the ever-popular ES 350. The ES 350â€™s V6 engine offers plenty of power for most drivers. Front-wheel-drive is standard faire with stability and traction control. Safety equipment is plentiful and includes the usual side curtain airbags, front knee airbags and Lexusâ€™ Safety Connect (priming of seatbelts and brakes for pending collision). The ES gets a perfect five-star rating when tested by NHTSHA, and a â€œgoodâ€ in the moderate-overlap frontal-offset, side-impact and roof strength tests. We like the analog clock, adopted by many today, thanks to its introduction years ago in Infiniti models. It may not be as easy to read, but it is classy. Controls are easy to use and we are now used to Lexusâ€™ mouse-like controls that work the audio system, etc. Once you pick it up, itâ€™s intuitive. Space abounds and those blessed with long legs will find the ES comfortable on long trips. On highway drives, the ESâ€™ interior is quieter than say the Genesis. There isnâ€™t much road noise or wind drag. There is, however, abrupt bumps when navigating less than perfect roads. We were surprised at the hard ride in the ES. It is an easy car to maneuver, though and parks beautifully. Driving impressions are always satisfactory with a Lexus product. Smooth and responsive is the order of the day. Which means something in a world of uncertainty; yes, there are still some things we can count on. Wind noise is at a minimum-less than the Genesis-but donâ€™t expect complete isolation. This is a good thing for enthusiasts, of course. Steering is accurate and effortless. EPA Fuel economy: 21/31/ mpg., 24 mpg.